North County Plumbers 760-792-7796 Drain Service Recently updated ! North County Plumbers offer plumbing and drain cleaning service in the following cities: Oceanside, Carlsbad, Vista, San Marcos, Escondido, Rancho Bernardo, Poway, Rancho Penasquitos, Rancho Santa Fe, Carmel Mountain, Del Mar, Encinitas. San Diego Plumbing Services looks forward to servicing your plumbing and drain needs. 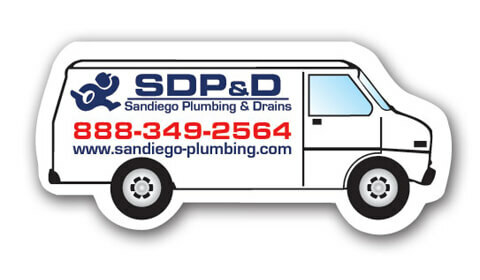 When you call San Diego Plumbing and Drains during business hours a Plumber will answer the phone! Not an answering service or dispatch center telling you that they don’t know anything and can only send a technician out. San Diego Plumbing Services actually talk with you regarding your plumbing and drain needs and we do our best to provide a ballpark estimate; free quote on what it should take to complete the job. Then we set up an appointment to have a technician perform the work. We can usually show up that day. Or, we set up appointments for the following day or when it is more convenient for us both.